When I took this on, I had no idea that it would take so long, give me carpal tunnel, and need so many pairs of jeans. I got half way done and had to SOS on Facebook to get more. At my distress, my friend Lindsey (who a lot of weight and qu ite a few sizes) gave me a stack of dungarees to finish up. 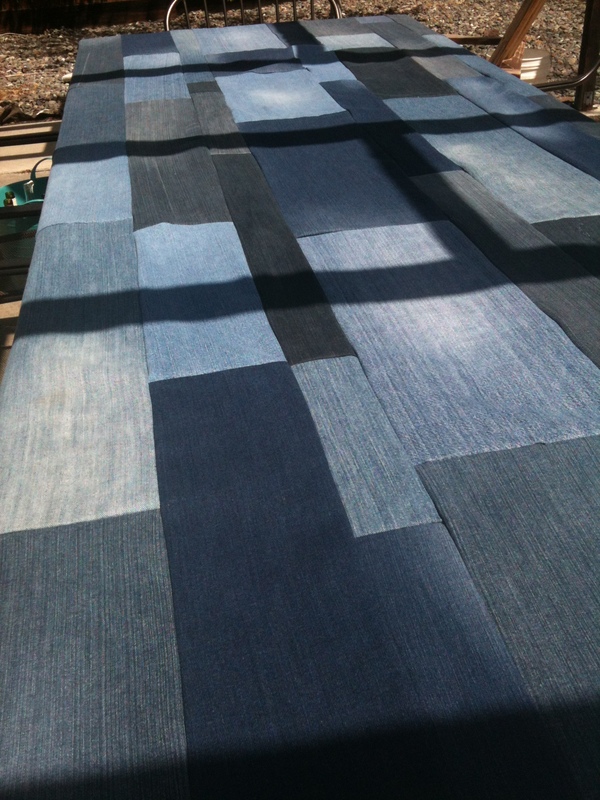 The thing I like about it is that when I took apart the jeans, I cut all the strips on the grain. This gave it a nice finish – like wood paneling. I cut strips in 3 to 9inch strips. The total for the width of the strips came to 60 inches. 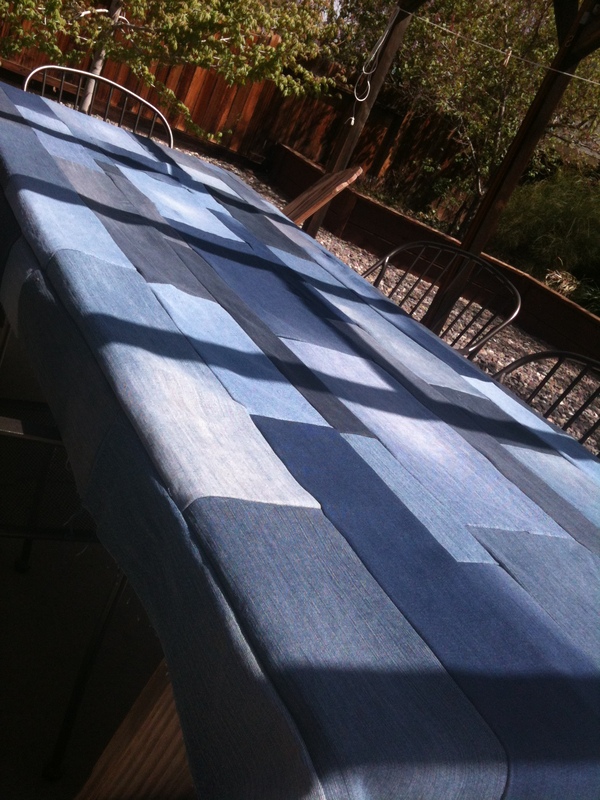 I sewed them together on the short ends to create strips that were 108 inches. Then sewed all the strips together long ways. I kept the edges raw to they would fray and be distressed. Love this Francine!!!! Great for the outdoor table 🙂 Congrats to your friend who shed all the weight.